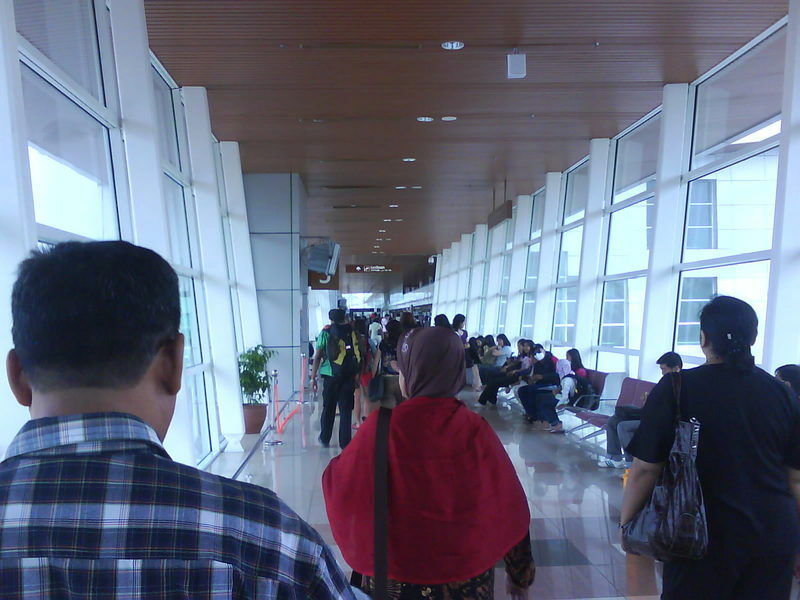 I just arrived Kuching International Airport,Sarawak ( Malaysia ) for the first time in my life..
well.. this time I took AirAsia..
from the air trip this morning.. leaving LCCT-KLIA around 9.45a.m , arriving at 11.20 am..
there are a lot of cloud… or something called haze..
hardly can see the land from up there.. while landing..
after landing… the process just as smooth as it could..
using MyKad of course.. and also got one piece of paper saying that.. I am allowed to stay for NINETY DAYS..
Last night went to carrefour Kepong..searching for this mask..
Damansara Damai -> Hentian Putra -> Flora Damansara -> KL Sentral -> LCCT KLIA. it cost me RM22 for a ride from airport to Dormani Hotel..
p/s : i think it is cooler here compared to KL.. provided the time is at 1.00 – 2.00 pm. 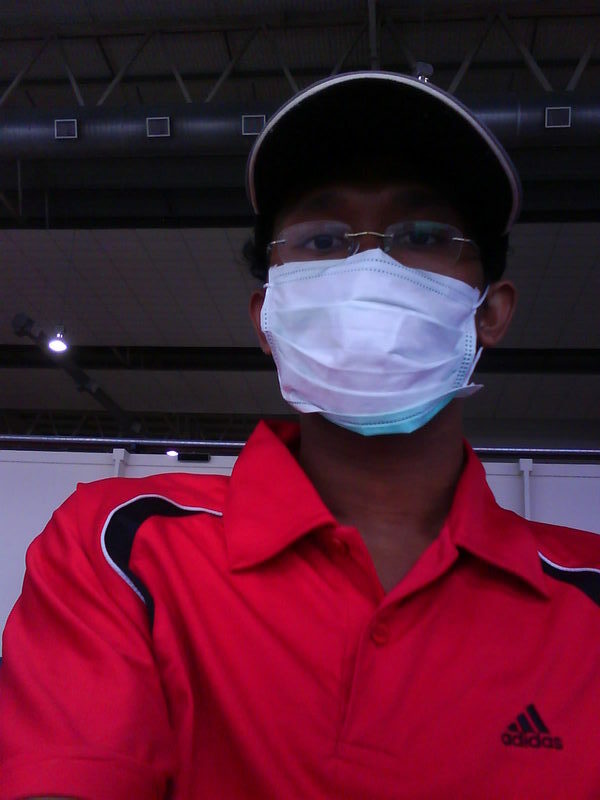 could be because of haze..
hehehe.. wearing the mask sometime made me feel like to suffocate ..
public wifi access at departure hall seem very good. 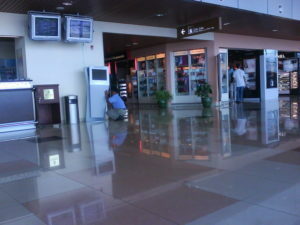 hehehe..
now waiting for the next flight at 1345H .. boarding time is 1300H though. Lucky you didn’t get arrested for taking photo in airport …! 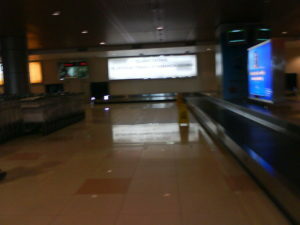 even though shanghai was suppose to be just a transit..
but can’t just pass through .. need check-in into china .. went out of arrival hall and check-out the the luggage ..
so apparently can get outside of airport compound for 5hours and get in back for next flight boarding..
wait for few hours.. re-boarding for san fransisco..
recheck/tagged the luggage.. and no need re-tagged until PHX..
at SFO after clearance with U.S custom , took the luggage then directly heading to the connecting domestic gate..
Gate 74…wait for 2hour30minute..(boarding to domestic flight) ..fly another 2hours ..arrived PHX.. no check..
pass through. 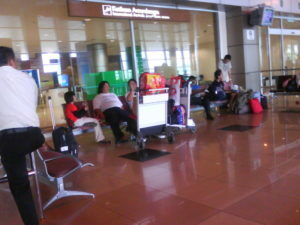 claim baggage…(15minute) wait for the transport to hotel..(15minute).. wait for the suite to be ready, (1hour 15minute).